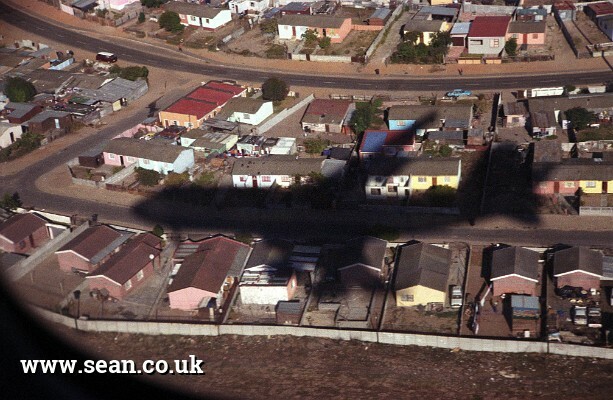 This photo shows the shadow of our plane landing in Cape Town in South Africa. I got out my camera to take pictures of Table Mountain as we flew in, and got this picture just a few moments before we hit the tarmac. I'm really pleased with how it came out. The buildings behind the plane look quite interesting, and the sunlight is perfect to create a recognisable silhouette of a plane. This was the start of a great holiday in South Africa, where I was shooting on film using a Canon EOS SLR.